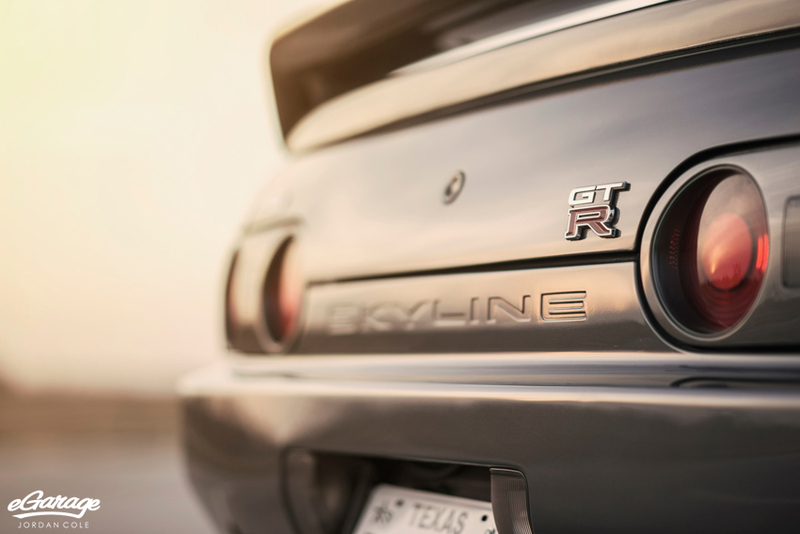 The Nissan Skyline GT-R is the stuff of legend. A computer-aided, engineering marvel built to dominate Japanese Group A racing, it is a pure race car for the street. We have all dreamed about driving one, but for most that experience has been limited to the gaming world. Now that the first round of these monsters are turning 25, that makes them eligible for import into the United States which is a very good thing for guys like Steve Durman. 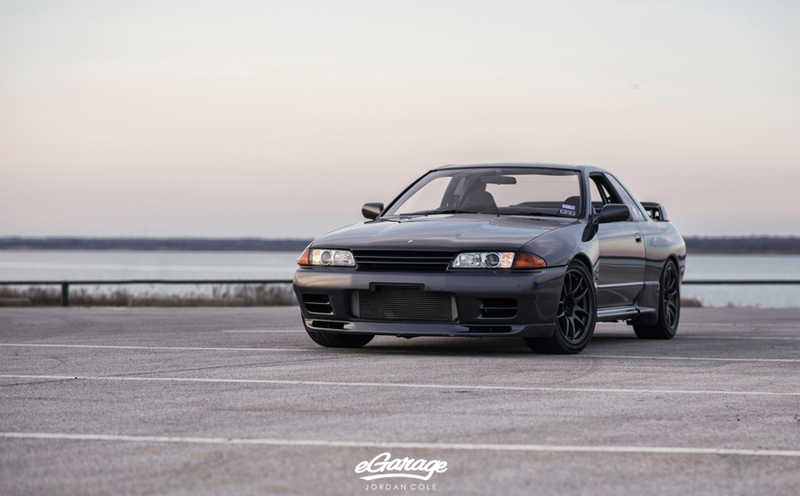 eGarage caught up with one of the first lucky few to take ownership of their freshly imported R32 Skyline. 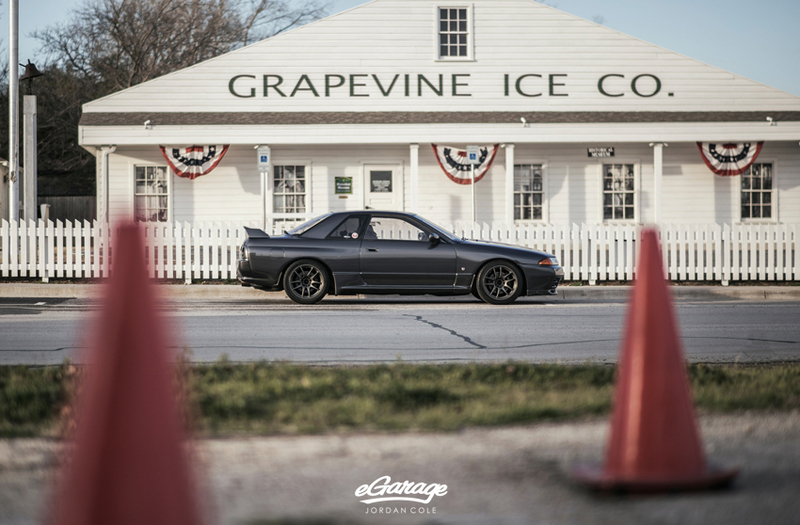 Read on to see how Steve is enjoying his piece of Japanese automotive history. Please describe you car and tell us how you came to own it? How long have you had it? 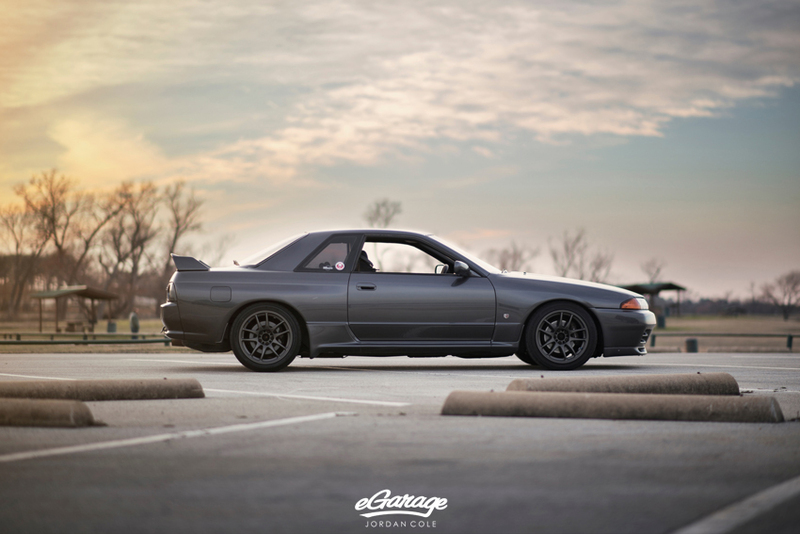 My car is a 1989 Nissan Skyline GT-R. It is serial number 796 which makes it a very early car. 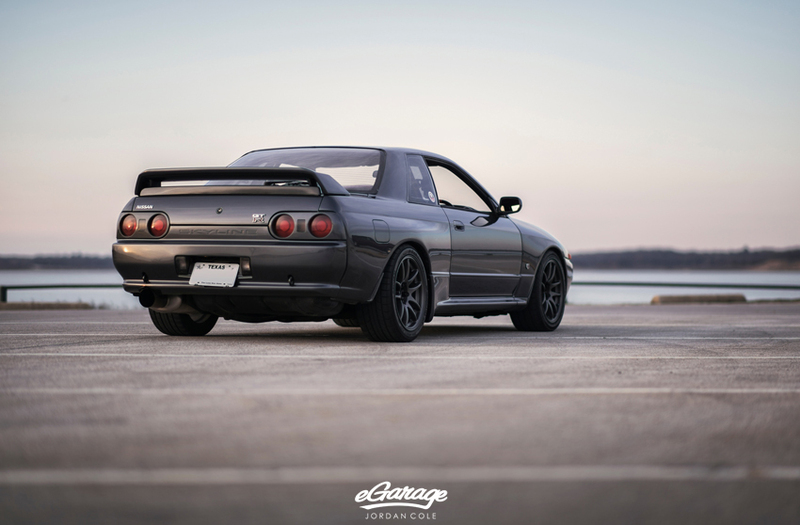 One of the first 800 of the modern GT-R’s ever made. I started my search for “the right” GT-R in the early 2014. I was working with two importers and Chris at Japanese Classics LLC was the first to find one that was in excellent shape with a great ownership history and very choice modifications. I picked it up in November 2014. How would you describe yourself as a car guy? How did you get into cars and what kind do you like? 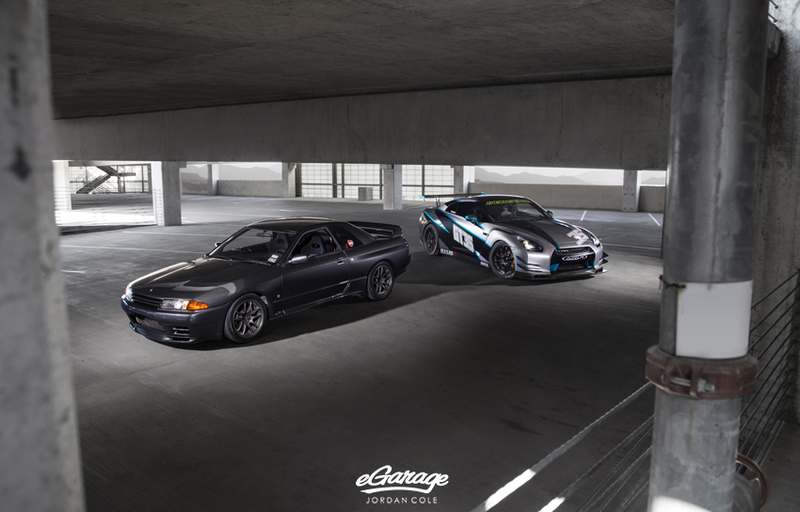 Do you have any other cars in your stable? 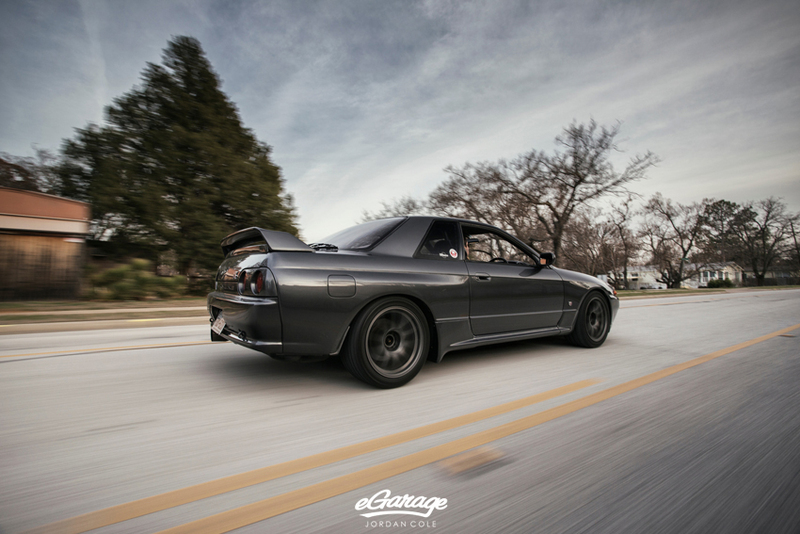 What is it about the R32 Skyline that made you want it? This is a really tough question to answer without sounding like the typical fanboy. I’ve never owned another Nissan. I’ve never driven a 240 or Skyline before. I think I rode in a 350Z once. As everyone knows, the car has a certain mystique here in the United States where it’s been forbidden for 25 years. Video games and movies have placed it up on a pedestal in the minds of car enthusiasts of my generation. The more I researched and read about it, obsessed over Google image searches and enthusiast forums from the UK and Australia, the more I was convinced I’d actually love the car. But I was never really sure until I was handed the keys to a car I had just dropped a big wad of cash on and drove it off the lot. It was a gamble for sure. One that I’m glad I took. Describe the import process. How hard was it and what advice would you give others? I have to be honest here – I didn’t actually do the importing. So it couldn’t have been any easier. It was quite literally as easy as buying any other used car. I got the car from Japanese Classics LLC in Richmond, VA. This is the same dealer who is helping a popular Jalopnik writer import a BNR32. One of the reasons I decided to work with them is because it is a part of their mission to make the transaction as simple as possible for the customer. They go to Japan and visually inspect each car they buy. They only buy cars that are exceptional in every way. One thing I appreciate is that they won’t even show photos of the car until it’s legally through customs and in their warehouse so that the pics account for any damage that may take place during transport. If someone wanted to do it all themselves they may be able to save a couple grand. But they’d have to be prepared to spend many hours learning the ropes, dealing with middlemen in Japan, filing paperwork themselves, dealing with shipping companies themselves, etc. I’m sure it’s worth it for people who have the time and would like to save the money – there’s a local owner near me who did this and had no problems. But there are options out there like Japanese Classics LLC for people who want a truly comfortable, seamless experience. I think paying the small price to have someone else do all the dirty work was well worth it. What is it like to drive? How does it make you feel? So, I bought the car in Richmond, VA and that afternoon started the long journey here to Dallas, TX. This was my trial by fire. I didn’t know if the car was going to exhibit any issues along the way. Hell, I didn’t even know if it would make it that far. But it didn’t have any issues, and it did make it. I made a point to take the car through Deals Gap – the famous “Tale of the Dragon” – on the way home. I figured if it would make it to the North Carolina-Tennessee border from Richmond, then it would make it through the Gap. I’ve owned four MR2’s and two Miatas…only one of which stayed stock…so I’m well aware of what a small, nimble, light car should feel like on a road like that. My GT-R has all of it’s gizmos in tact and fully-functional. HICAS (all-wheel steering) and ATTESA (all-wheel drive) impressed me tremendously. The car just wanted to go faster and faster. I very quickly found myself uncomfortable with how comfortable I felt going way too fast. There were one or two of those 300+ curves that I went in what I thought was a bit too hot and I fully expected the car to wash wide with understeer into the oncoming lane. But it never did. A bit of throttle and the car just devoured the apex without even a hint of tire squeal. Since then I’ve driven it a lot on familiar city streets and have had my fun testing it’s limits at low speeds. It’s very much a RWD experience but with a touch of help from the front wheels when you need it – just like Nissan intended.I love it. 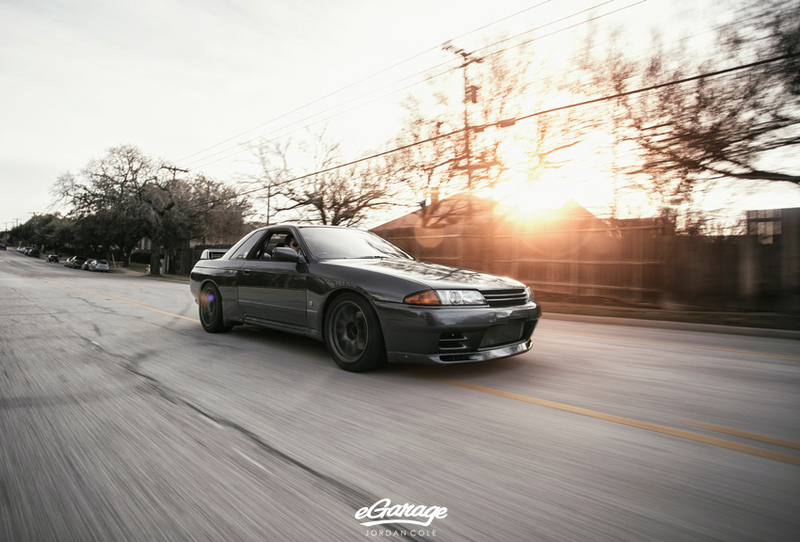 How does it feel driving a right hand drive, Japanese halo car on the streets of the US? What kind of reactions does it get? This has to be the question I hear the most. Well, perhaps neck-and-neck with, “How much did it cost?” Driving RHD is really not a big deal. Shifting with the left hand takes all of 5 minutes to get used to. Learning to use the right-hand stalk for turn signals and not wipers maybe takes a bit longer because one signals less frequently than one shifts. The hardest part is training your brain to position you, the driver, in the right half of your lane on the road. We’re so trained to position ourself on the left that you naturally start drifting that way if you don’t concentrate. At first it takes a lot of concentration. But after a few hours behind the wheel it becomes pretty natural. Driving RHD on LHD roads isn’t without it’s inconveniences. Everyone thinks about the drive-thru window which you either have to avoid, reach across or go through in reverse. (I still want to try that last one). But it’s the more practical inconveniences that you really notice quickly. For example, turning left at an intersection isn’t easy if the car in the opposing lane is also turning left because you can’t see around it…like…at all. If you don’t have a passenger spotting traffic for you, you just have to wait for the other guy to go first so you can see if the coast is clear. Parking lots are also disorienting a bit when you’re on the right side of the car. I get lots of comments from non-car-people who don’t know what it is but think it’s cool. It definitely stands out as “different” to a lot of folks who don’t know cars but know they’ve never quite seen this car before. Getting in and out of the right side is a tip-off, too. I’ve mainly run into the car guys/fanboys at local meets. They’re typically pretty cool, but they all ask the same questions. “Is it hard to shift with your left hand?” “How long did it take you to get used to it?” “Is it legal?” Shockingly, the most common question is “How much did it cost?”…which is something I’d never feel comfortable asking someone, myself. I resist the urge to reply, “More than you can afford, pal.” and typically just quote them the average price range for a legally-imported BNR32. Then there are the people in between who think they’re car guys but don’t really know what it is. These guys usually approach me at gas stations because they know I’ve got to stand there for two minutes and they’re not holding me up. Last week I had a guy ask me what year 300ZX it was. Honestly, I think it’s a fun part of owning a car like this. Drive the piss out of it – I will take it to the track a couple times in the spring to really get to know it in a 10/10ths scenario that is legal and safe. Maintenance – I’d like a clutch that can hold up to a 5k RPM sidestep. I tried that once and it didn’t work so well. The cabin smelled like burnt friction material for the rest of the day. 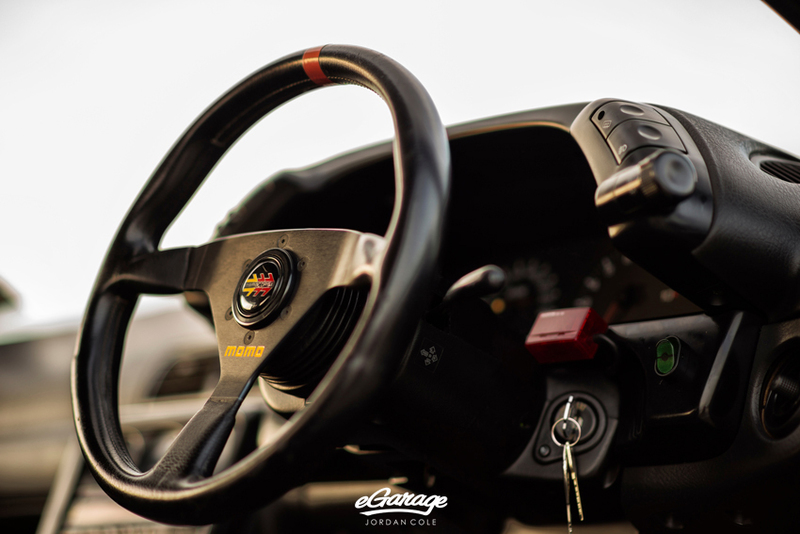 Spruce-up – the interior is where the car shows it’s age the most. Fortunately, interior bits are very easy to come by. So I should have it looking as good as new in relatively short order. The car already has a decent mod list and is putting down around 400whp. I’d like to get that to a reliable 500whp. I’ll keep twins but go aftermarket. Aftermarket intake manifold, injectors and a good tune. That will get me there. Oh…and he needs a name. But I will wait until he’s ready to tell me what it is.